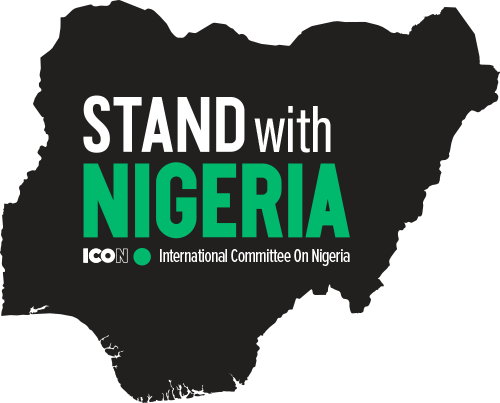 The International Committee On Nigeria (ICON) was co-founded in 2017 by Stephen Enada and Kyle Abts, who had worked together on various projects in Nigeria since 2000. Together, they sought to raise political and religious awareness, provide solutions to the process of peace and restoration, and hold the government accountable. ICON exists because injustice and a lack of inclusive governance that falls along ethno-religious fault lines threatens the stability of Africa’s most important nation. ICON works in both the USA and in Nigeria to raise awareness and build collaborative partnerships, which provide a powerful roadmap to address both the erosion of religious liberty at home and violations of religious freedom abroad. ICON is a multi-stakeholder nonprofit / NGO working to secure a future for all Nigerians, where rule-of-law, justice, religious freedom and constitutional rights are secured for all Nigerians, regardless of religion, tribe, or location. We connect diverse actors, civic and government leaders, with Western counterparts to partner on behalf of our vision of a diverse, inclusive and prosperous Nigeria. ICON is committed to providing help to Nigeria. ICON consists of committed Nigerians and other nationalities that are joining forces, resources, and voices in order to help the oppressed and minority groups in Nigeria, regardless of their religion, ethnicity, gender, creed, and social orientations. ICON’s vision is to create a community where rule of law guides every facet of society interactions in Nigeria. ICON promotes religious freedom, human dignity, rights to live, and the protection of the vulnerable against ethnic/religious persecution. To build coalitions with other organizations across issues that affect the vulnerable in Nigeria. Create awareness on the underreported crimes committed against those oppressed and minority groups in Nigeria. Provide accurate statistic on killings, persecutions, fault lines and other drivers of violence in Nigeria. We are motivated by God’s love for the world, we endeavor to work towards peace, reflect compassion and love our neighbor as ourselves. We endeavor to equip, empower and encourage our network and sphere of influence. ICON will work with government officials, citizens, leaders, diaspora, volunteers and stakeholders who represent the bridge from where Nigeria is now and where we want to be. ICON aims to hold the Nigerian government accountable, as there must be accountability of the actions of the Nigerian government. Additionally, ICON desires to restore the image and relationship of the Nigerian government: politicians, police, military, etc. ICON is actively engaging politicians and civil society in both the USA and in Nigeria to change the narrative from a simple ‘farmer vs herder’ clash into one that encompasses the ethnic, religious, economic, geographic and political conflict. We also desire to drive policy that strengthens the government and citizens, provide programs that will bring about sustainable peace, help to the persecuted and a voice to voiceless.